Brent Rivera did not have to go through enormous stress to achieve popularity. He is an American social media celebrity best known for his exploits on Vine and YouTube. For his unique talents, he has been designated as an actor, singer and other titles by his fans. With an endearing charisma and unique personality, Rivera is a natural when it comes to being social or being popular. Brent’s fame on the tech space rose as a result of his captivating videos on different platforms which range from tips, challenges to comics and many more. It would be interesting to find out more about the tech. star. Here is all you need to know. He was born on January 9, 1998, in Huntington Beach, California to his parents. 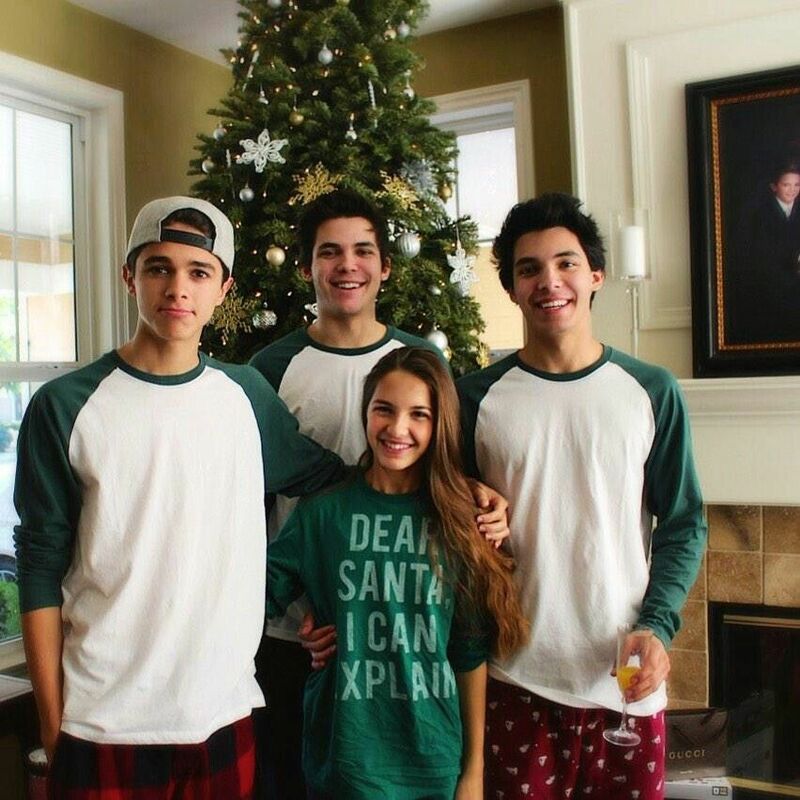 Rivera is a brother to his three siblings; brothers – Brice and Blake and his sister Lexi. He grew up with his parents alongside his siblings in California. Brent had no idea he was indirectly building a career by doing the things he loved most. Always outgoing and delightful, he created a Youtube channel MrBrent98 in 2009 when he was only eleven. His videos were made from day to day activities with family and friends. He often featured his siblings and many of his friends. Brent’s videos started to draw attention especially from teenagers and they did not hesitate to subscribe to see more interesting things. In 2013, he decided to extend this intriguing concept of his to another platform. Vine was his next choice; he created his Vine channel in 2013. Since he had already grown a satisfactory base on YouTube, it was not a huge challenge growing the Vine channel. The two channels have amassed massive following amounting to millions over the years. Brent has over 7 million subscribers on his Youtube channel and over 10 million on Vine, becoming a major social media star. In 2014, the internet sensation dropped his song Doubt you Doubts on iTunes and it became a huge success. The song further attracted followers and grew his fan base as well. Brent Rivera has metamorphosed into a model and icon for the younger generation. A post, tweet or photo of Rivera on social media receives nothing less than 5,000 likes from his followers in seconds. When it comes to his views it is even something more phenomenal. One of his YouTube clips with his sister Lexi, Pause Challenge (Brother Vs Sister) amassed over 2 million views and has got likes in hundreds of thousands. He has collaborated with several YouTube stars including Alan Stokes, Alex Stokes, Bem Azelart and many others. Being in the public eye, there is bound to be questions, assumptions, and whatnots regarding anyone’s personal life. Brent Rivera is not exempted from this torment. He too has been a victim of the public misconceptions especially with regards to his sexual orientation. A bundle of cuteness like Rivera and his delicate looking self has been the delight of his female fans, many who wish to know what dating him would feel like. But it seems the social media champion is so busy with his career that questions about his personal life have found their way to the media. He is said to be dating fellow YouTuber, Eva Gutowski. But he has never asserted to his sexual orientation. Gutowski has been featured in a couple of his videos. She appeared in his October 2018 video, Wearing Long Acrylic Nails for 25 Hours!!. The video got millions of views from fans as well as made many curious as to what the status of their relationship is. By doing what he loves, Brent Rivera has significantly grown his financial status to an enviable level. Although he has not confirmed any of this, the Vine star has his net worth estimated at $4 million by some sources. Apart from his videos, Rivera also makes his earnings from various promotions and ads. The social media star is bound to earn more in the coming years given his accelerated growth in the tech world. He is not only facially cute but also has the right body features that always make him appealing especially to the female folks. 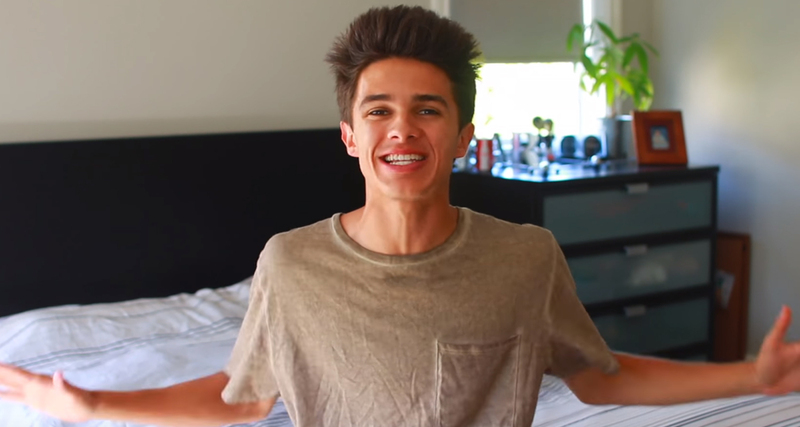 With his brown eyes, dark brown hair and the cutest smile, there’s no denying the fact that Brent Rivera is quite adorable. Standing at a height of 5 feet 11 inches, he weighs a proportional 74 kg. Brent Rivera is owning his career in the tech field and is garnering fans on a daily basis while at it. On Facebook, he has over 5 million followers, more than 2 million on Twitter and a whole lot more on Instagram.